At around 10 p.m., officers discovered Matthew Martin, 45, and Robyn Vierra, 47, on campus with methamphetamine, burglary tools and stolen property. Police arrested the two Santa Maria men and charged them with possession of stolen property, possession of burglary tools and possession of methamphetamine, as well as conspiracy to commit a crime. 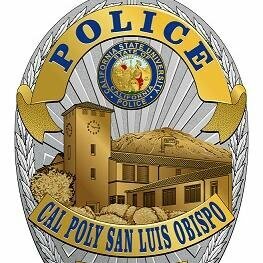 Officers booked Martin and Vierra in to the San Luis Obispo County Jail. They are no longer in custody, according to the jail website. Hours later, university police engaged in a short pursuit with a man who was riding a stolen motorcycle. At about 2:20 a.m., officers tried to stop Erik Blake, 40, nearly Poly Canyon. The chase ended on Stenner Creek Road, and officers arrested Blake. The two incidents were unrelated, police say.